You are here: Home / South America / Argentina / Buenos Aires: The Boca. 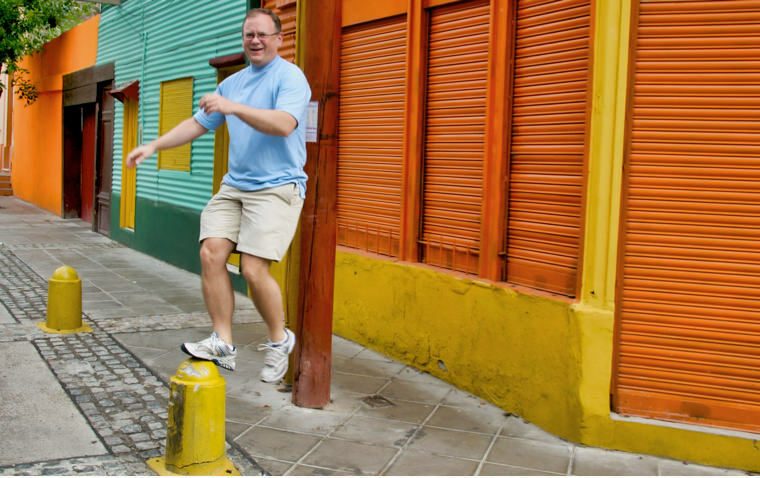 People from Buenos Aires are known as Porteños, which translated means from the Port. Without getting into an Argentinean historical discourse, it’s important to note that during the third presidency of the young Argentinean country, Domingo Faustino Sarmiento, that progress excelled and population boomed. 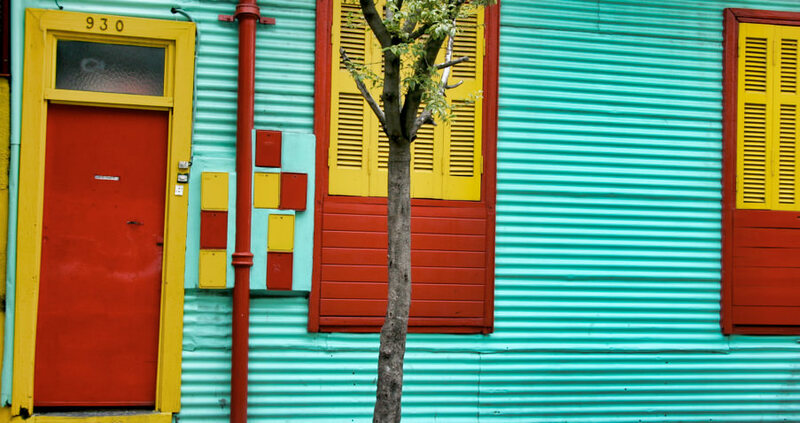 For about 25 years, from about 1870 until 1895, the population of Buenos Aires grew seven-fold. 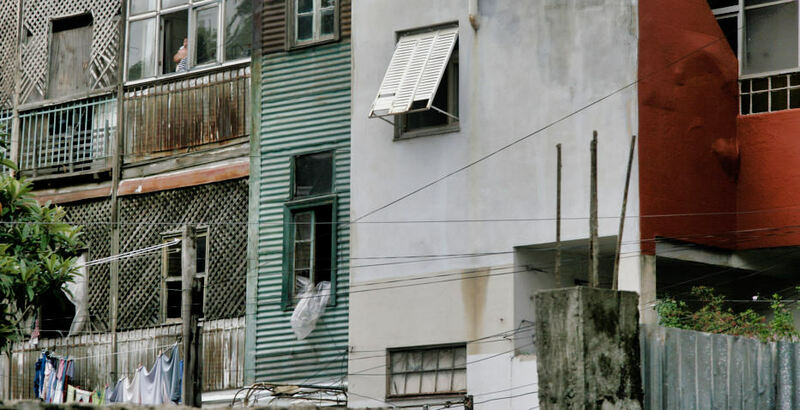 Immigrants from italy, Spain, Germany and Eastern Europe poured into the port of Buenos Aires and lived in basic tenement housing along the port and on the Rio Riachuelo. Many of these immigrants found work in meatpacking plants, warehouses and in the port working to unload ships and barges. 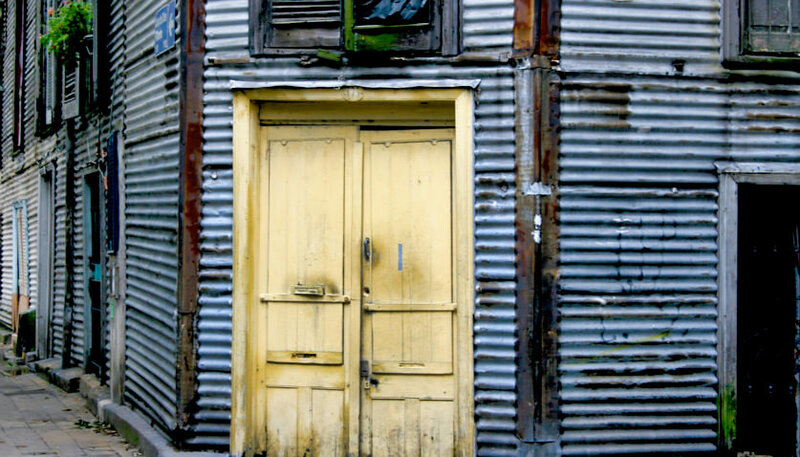 With the leftover paint from sprucing up the ships and barges, the immigrants would through the leftover paint on the corrugated metal siding of their tenement houses. 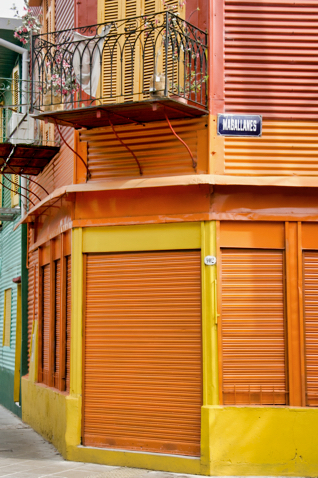 The random and very colorful look of the neighborhood has become its trademark and such is La Boca. 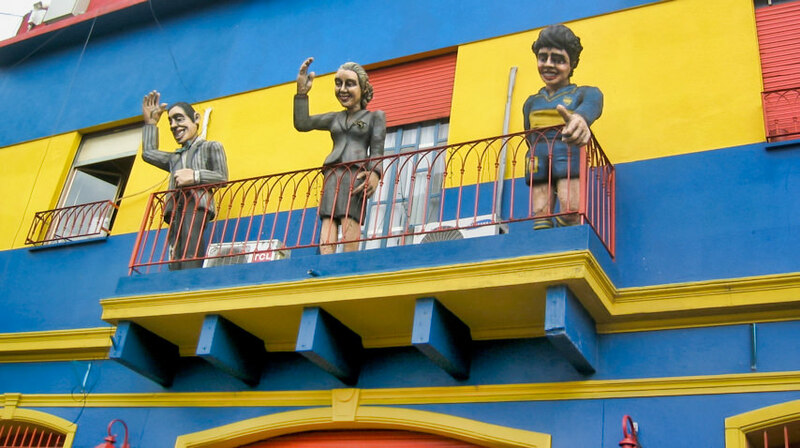 Also, the neighborhood is home to perhaps the most famous futbol team in Argentina (Boca Juniors – archrivals to Riverplate). 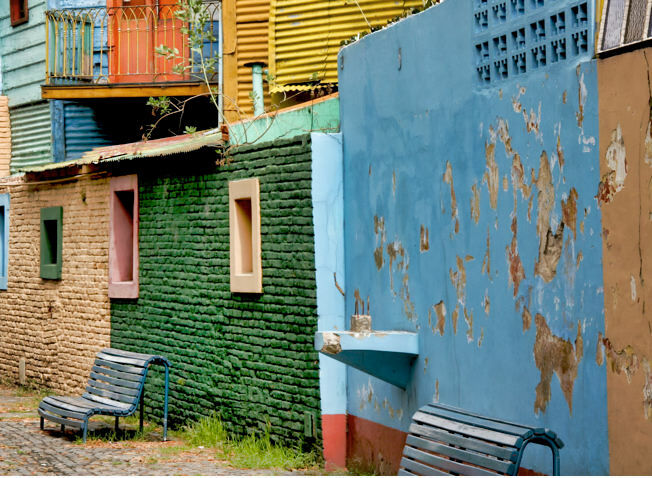 Still retaining a blue-collar essence, outside the tourist attraction of Caminito (small road) and the river front cafes, you can see the real La Boca. Just off the camonita is Magellens. Perhaps a faced part of Boca not often captured by camera toting tourists. But this is the real Boca. 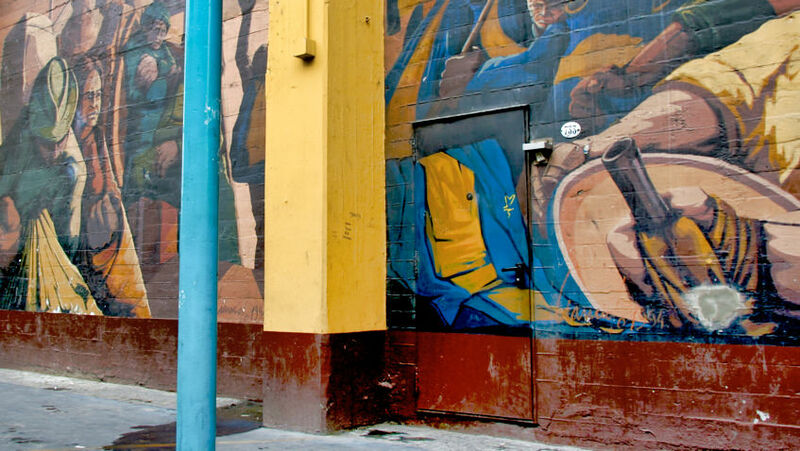 Street mural depicts the plight of the immigrants and their tough blue-collar life on the river in Boca. The bright colors from extra paint form the shipyards brightened up what were tough and questionable living conditions. Today it’s Boca’s trademark. A delicate balance between color, contrast and composition. Arguably the three most famous Argentines (l-r) Carlos Gardel, the legendary swooner brought Tango music to the world and had girls throwing themselves at his feet long before old blue eyes; Evita (Duarte) Peron, chamption for healthcare and the working class Argentines; and Boca Junior futbol star Diego Armando Maradona, who scored the most famous goal in soccer history in the World Cup when Argentina met England in Mexico City – Argentina beat England 2-1. Watch the infamous goal here. Another shot outside the tourist center of Boca. 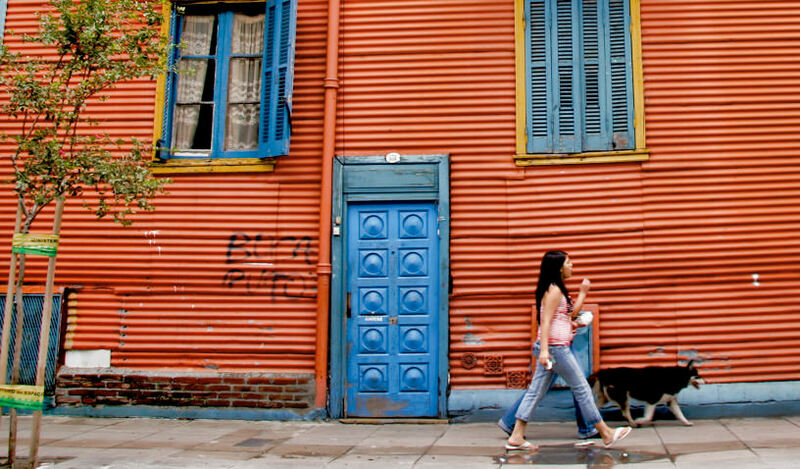 My bet is in ten years Boca will be Buenos Aires hottest and up and coming neighborhood. 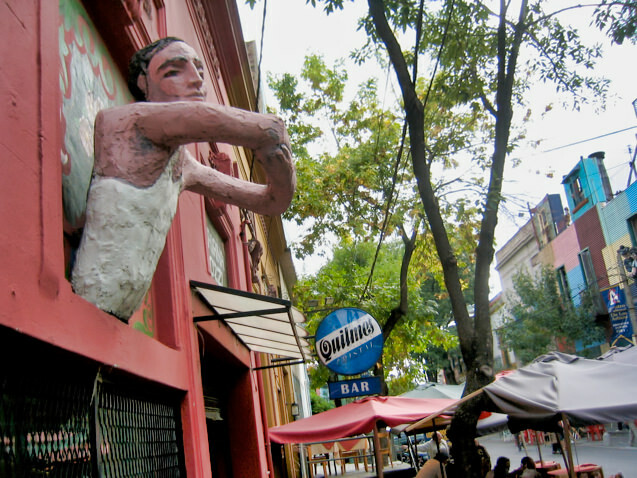 Even now the small section of Buenos Aires has a charm, good pubs and a handful of restaurants. 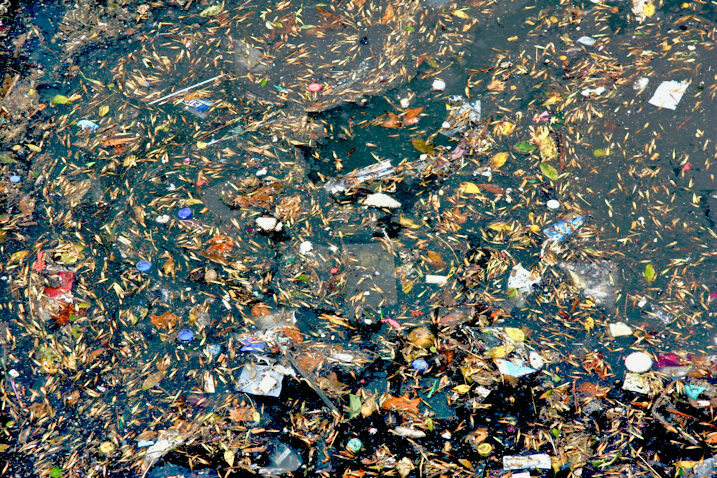 While the pollution might make a Jackson Pollack-esque beautiful image, the river pollution must be cleaned if Boca is to achieve such status. 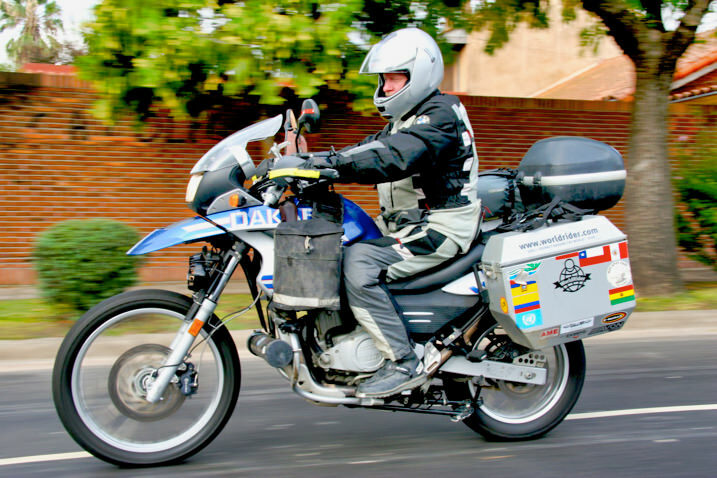 https://i2.wp.com/www.worldrider.com/wp-content/uploads/2014/08/dakar_cruising_buenosaires-tm2.jpg?fit=600%2C400 400 600 allan https://www.worldrider.com/wp-content/uploads/2014/08/worldrider_logo_white_border-trans1.png allan2007-02-27 11:12:532007-02-27 11:12:53Buenos Aires: The Boca.